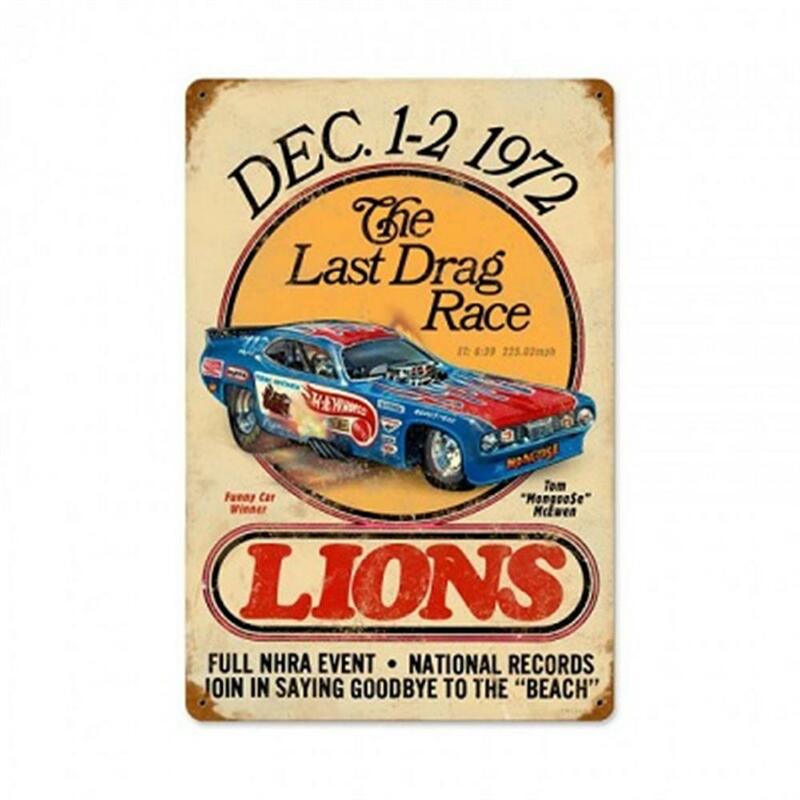 This Lions Last Drag Race 1972 Metal Sign comes alive on this colorful steel sign. Durable steel with powder coated graphics and pre-drilled mounting holes for easy hanging. Measures 18" x 12". Made in the USA.